We are pleased to welcome our latest bundle of joy! 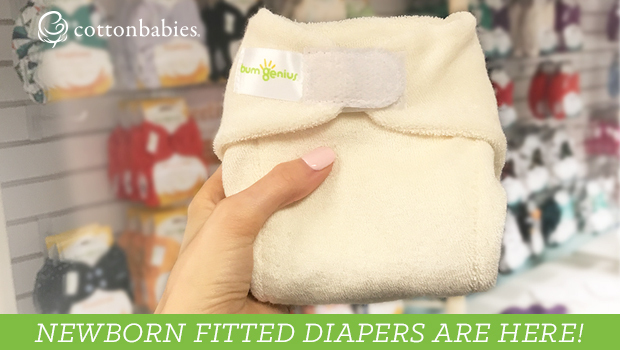 bumGenius Newborn Fitted Diapers are super soft and designed to fit tiny bums. Gentle elastic at the waist and legs contains messes. The hook & loop closures provide a customized fit for your baby. Our Newborn Fitteds have been made available as a very limited run. When they’re gone, they’re gone! New to fitteds? 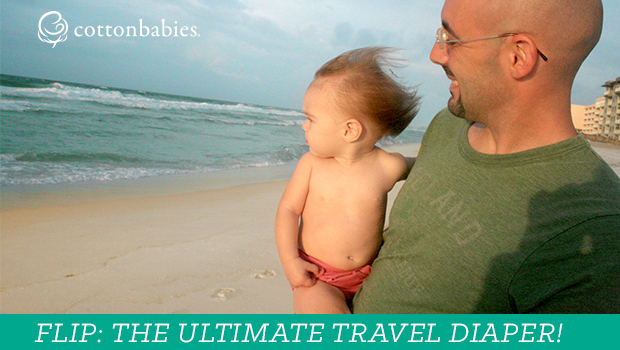 It’s important to note that fitted diapers are not waterproof and need a diaper cover. Econobum Newborn Diaper Covers with snap closures make the ideal companion cover to this diaper. The Newborn Fitted Diapers are made with Viscose made from Bamboo making them feel super soft – perfect for a newborn. Plus, they have an extra soaker sewn inside for additional absorbency. In addition to Newborn Fitted Diapers, check out our other cloth diaper options for newborns. If you’re looking for a straight-forward cover, Econobum Newborn is an amazing choice. Econobum is a budget line that, like bumGenius, is manufactured by Cotton Babies. This diaper fits great and is easy to use. Besides the bumGenius Newborn Fitteds, Econobum Newborn Inserts can be purchased in the newborn kit. Preemie or infant prefolds are also popular as the absorbent layer. Interested in an all-in-one solution? 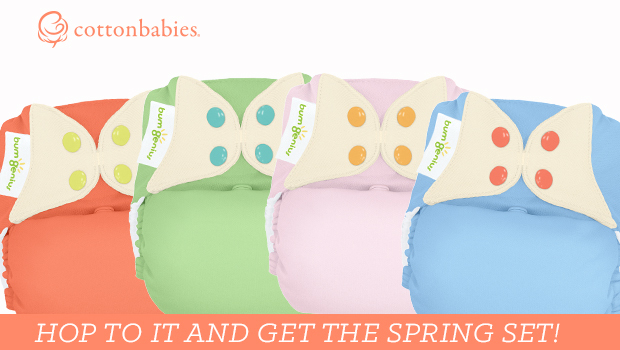 bumGenius Littles 1.0 are a favorite all-in-one newborn diaper. The hook and loop closure that allows parents to get the perfect fit. The stay-dry lining wicks moisture away from sensitive skin. The design on Littles 2.0 was changed up a bit to offer a new version lined with ultra-soft organic cotton. Littles 2.0 include a booster as an option to add absorbency. One side has a stay-dry fabric and the opposite is organic cotton. Instead of hook and loop, Littles 2.0 feature durable plastic snaps. One other change is that front waistband has a more pronounced dip below the navel to keep the umbilical area dry. Why Use Newborn Cloth Diapers? Newborn cloth diapers are pretty darn cute. Our line of newborn diapers best fit babies from approximately 6-12 pounds depending on baby’s shape. While doing some research on cloth diapers, don’t forget about newborn diapers. Many parents prefer newborn cloth diapers in the early days. First, newborn cloth diapers won’t irritate the umbilical area because they have a dip cut into their design. Second, newborn diapers help prevent leaks. Since they are smaller, it’s easier to make sure there are no leaks from gaps around tiny legs. Newborn cloth diapers work great on smaller babies or for parents who prefer a trimmer option on their newborn.